M.A.S.S. Lecture Series Jeffrey Ring - Towards the Elimination of Health Inequity: We Can Do This! Grant Awarded UTRGV School of Medicine awarded NIH grant for type 2 diabetes research. Free primary healthcare services Opening of its first student-run clinic at Proyecto Desarrollo Humano in Peñitas. My first lab coat Dr. John Krouse presents fourth-grade student with his very first white coat. The University of Texas Rio Grande Valley School of Medicine offers an exceptionally innovative learning experience designed to instill students with scientific, clinical and research expertise of the highest professional standards. Our goal is to attract the best talent from the Valley, the state, the country and beyond for faculty and staff positions. We are fortunate to have laid some of this groundwork over the past 15 years through the Regional Academic Health Centers in Harlingen and Edinburg. The UTRGV School of Medicine opened in the summer of 2016 and welcomed 55 students into its charter class. Expand health care services with primary and specialty care clinics throughout the Rio Grande Valley. 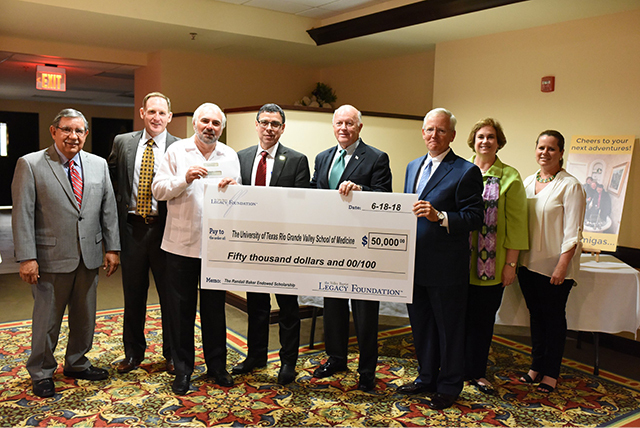 HARLINGEN, TEXAS – OCT. 1, 2018 – The Valley Baptist Legacy Foundation has established a $50,000 endowed scholarship in honor of the foundation’s former executive director, Randall “Randy” Baker, who retired from his post June 30. 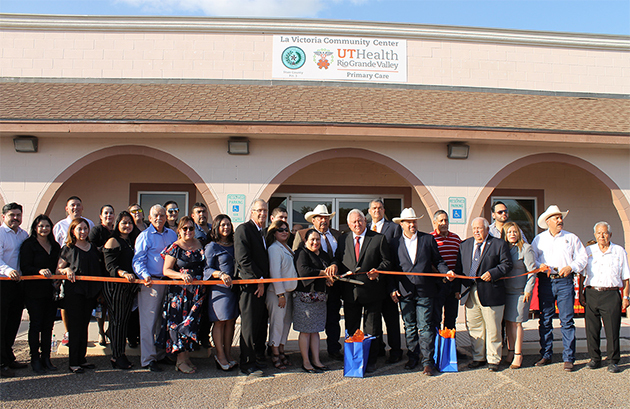 RIO GRANDE VALLEY – The UTRGV School of Medicine continues its mission to close gaps in access to healthcare and expand educational opportunities for its students with its three Area Health Education Centers (AHEC). UTRGV SOM is committed to providing a diverse environment for faculty, students and staff. The School of Medicine is a community that appreciates, values and seeks the different dimensions that age, race, ethnicity, gender, socio-economic status, religious beliefs, experiences, perspectives, lifestyles sexual orientation, geographic regions and cultures have to offer.